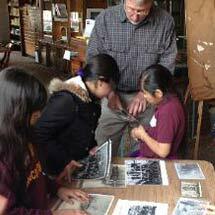 The Milwaukee County Historical Society offers a variety of educational experiences for students of all ages. 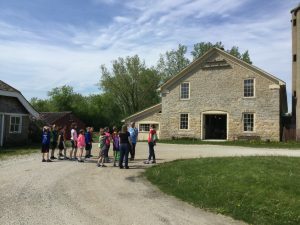 From a historic house, to a 160-year-old farm, to a downtown museum full of historic items and documents, there are many ways your class can enjoy learning about history. School group rates are available Tuesday, Wednesdays, and Fridays or by special appointment. To qualify for the school group rate, you must reserve for a minimum of 10 students and be associated with an educational organization. Formal lunchrooms are not available at either site, but accommodations may be available based on the size of your group. If interest, please specify when booking. Includes an introduction to the building, a visit to our Library and Archives, and a behind the scenes collection tour. View our Field Trip brochure. Trimborn Farm is more than 160 years old and has nine historic structures to be explored. Our daily program is geared for 3rd to 5th grade students though it can be adapted for most grades. Visit www.TrimbornFarm.com for more photos of the Farm. 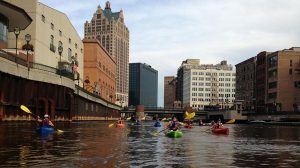 If you’d like more information or if you want to schedule your visit, please contact Mary Jo Knapp at mjknapp@milwaukeehistory.net or 414-273-8288.